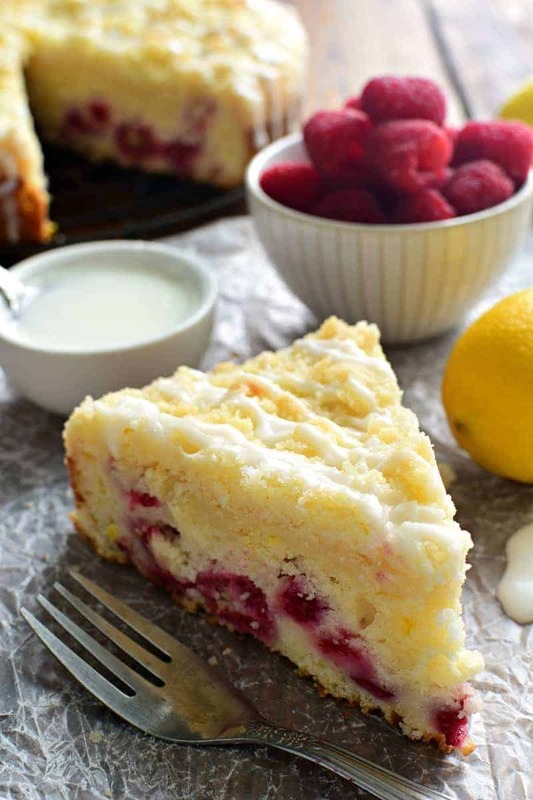 This Lemon Raspberry Coffee Cake is perfect for spring! 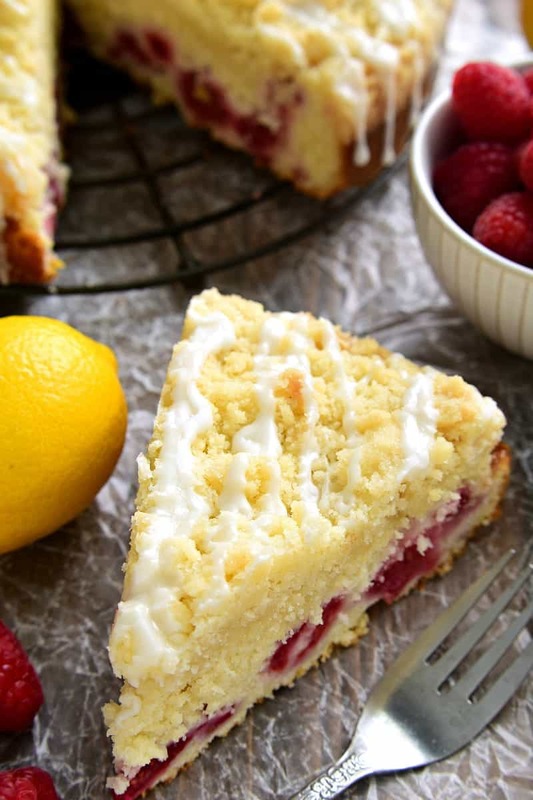 Packed with the delicious flavors of fresh lemon and raspberries, this coffee cake is sure to become a brunch time favorite! 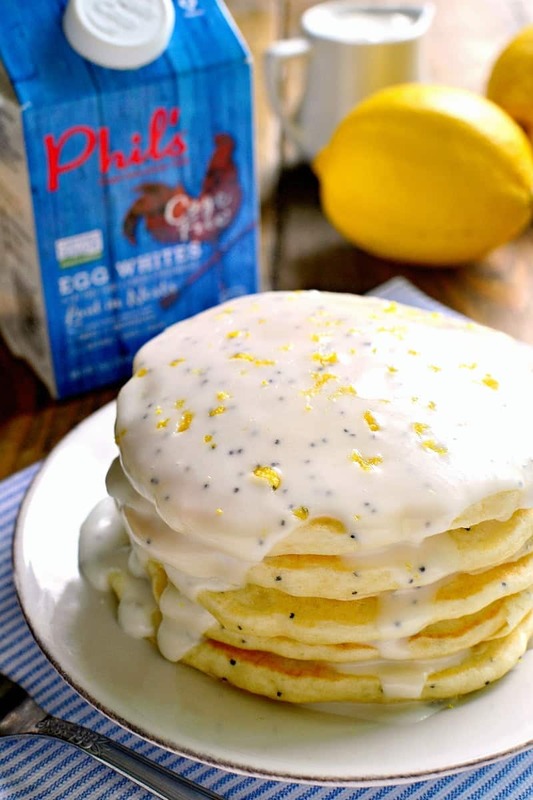 I partnered with Phil’s Fresh Eggs to bring you this recipe. As always, all ideas and opinions are my own! Do you ever think about your “ideal day”? How you would spend it? Who you would be with? Where you would go? What you would EAT?? Because I think about it a lot….ha! Probably because I can’t remember the last time I got to plan an entire day just for myself. But I dream about it….and when the time comes, I can guarantee I’ll have the BEST DAY EVER! Starting, of course, with breakfast. I’m not sure what it is about breakfast that I love SO MUCH, but I really do love it. 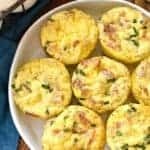 I love going out to breakfast with friends, getting together for breakfast with family, and making a big weekend breakfast at home. It feels like the perfect way to start the day….or the weekend! Of course, in my ideal breakfast, there are certain things that would definitely need to be on the menu. Like Lemon Parmesan Roasted Potatoes and Quiche Lorraine Bites and Lemon Basil Berry Salad. 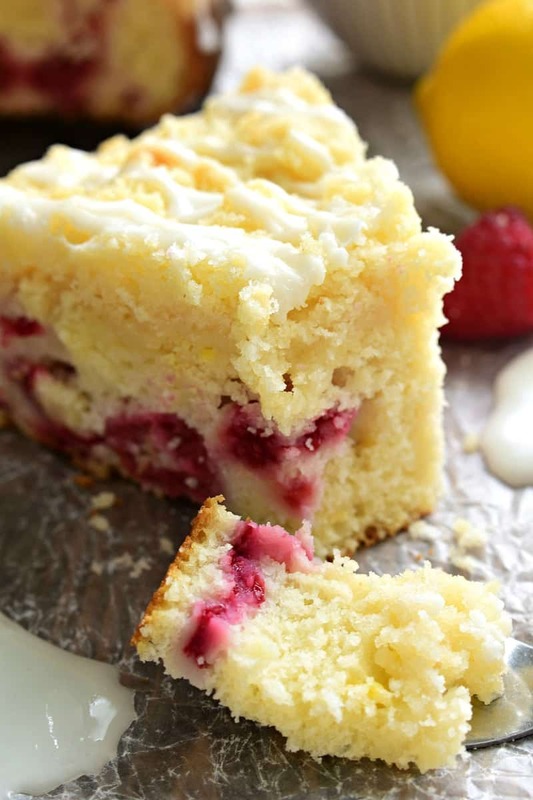 And definitely, most definitely, this Lemon Raspberry Coffee Cake. I’ve had a lot of coffee cakes in my day, but believe me when I say this is my FAVORITE. Because it’s moist and flavorful and streusel-y and amazing. And…lemon + raspberry. You really can’t go wrong. And you can’t go wrong when you make it with Phil’s Fresh Eggs! 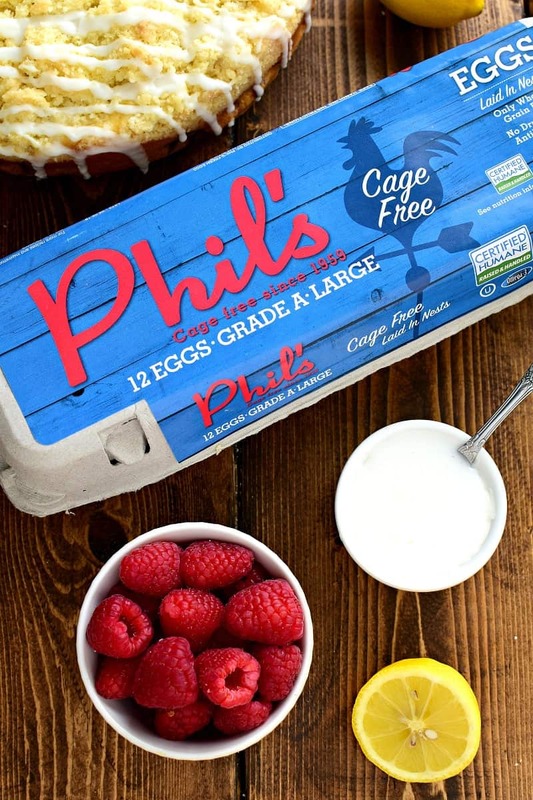 Because Phil’s Fresh Eggs are cage-free and humanely raised in since 1959. Phil’s grows their own corn, soybeans and other grains to feed their chickens, without any animal proteins, drugs, hormones, antibiotics or genetically modified (GMO) corn. And it turns out that happier, healthier, more humanely raised chickens make better tasting eggs! Plain and simple. And especially delicious when you mix them into a sweet Lemon Raspberry Coffee Cake. 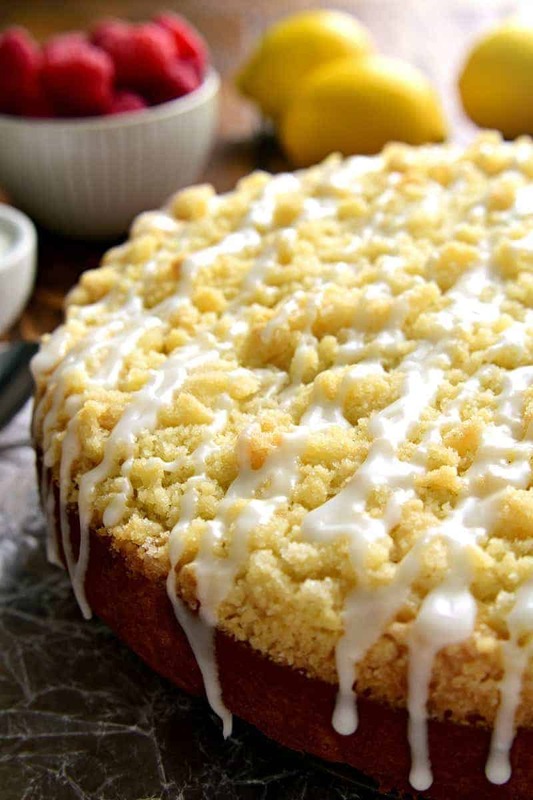 If you love lemon, this coffee cake is for you. 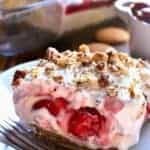 If you love raspberry, this is for you too! 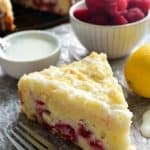 And if you love breakfast as much as I do, you simply MUST try this Lemon Raspberry Coffee Cake. Because…well…it’s perfect. And a necessary addition to any “ideal” day. 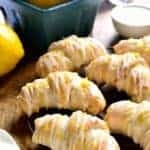 Beat 1/4 c. milk, ¾ c. sugar, ½ c. sour cream, ¼ c. butter, egg, lemon juice, lemon extract (if using), and lemon peel until creamy. Add dry ingredients and mix just until blended. Spoon batter into a greased 10 inch springform pan and sprinkle with crumb topping (see below). Remove from oven and cool at least 20 minutes in pan before removing. Combine ingredients for glaze and drizzle over cooled coffee cake. Combine 1 c. sugar and ⅔ c. flour in a bowl. Cut in 6 Tbsp. butter until mixture is crumbly. I think I have to make this! Love these flavors together. Phil’s is my egg of choice, too. This moist, delicious coffee cake made my day… and has me craving lemon everything! 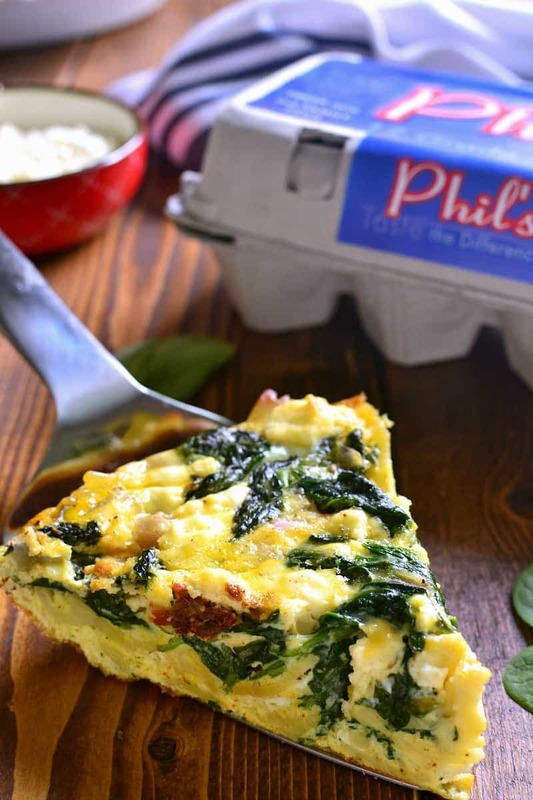 I love the Phil’s Fresh Eggs philosophy and can’t wait to try them for my household! I’m pretty sure my perfect day would involve this! Perfect for Easter morning too, thanks for sharing ! I am loving everything about this!! It looks so good! I haven’t seen Phil’s eggs in any of my local stores, but I will definitely keep my eyes open for them – I love their philosophy! And I really wish I had some raspberries in the house, because I’d make this today! Absolutely making this coffee cake this week! 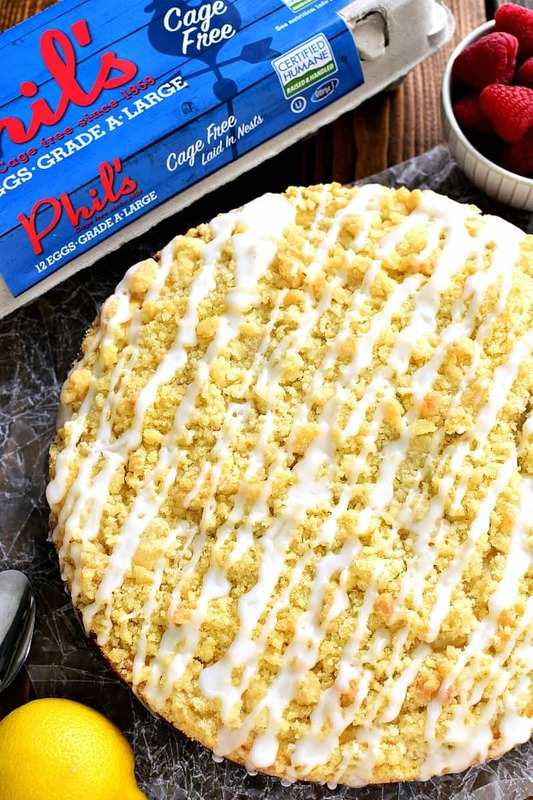 I have a carton of Phil’s eggs in my fridge right now – time to make some coffee cake! This is exactly my kind of coffee cake! Incredible! What a great Spring cake! I need to make it soon! This looks awesome! Lemon and raspberry…two of my favorite flavors! 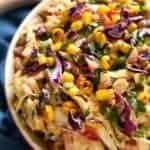 Just a quick question on the recipe. Is it for either lemon juice or lemon extract? I wasn’t sure if you would use both or if you have one, you don’t use the other. Thanks, Tracy! The lemon extract is optional…it would give an extra boost of lemon flavor. The lemon juice is the one to go with if you only want to use one! Hope this helps! This sounds so great! Do you think a square glass baking dish would work for this? I lack a springform pan. I think it would work fine in a glass baking dish, Lisa! 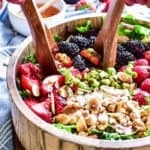 I very much want to make this and have everything EXCEPT fresh Raspberries–I do have lots of frozen ones tho– will frozen Raspberties work? Do you need to grease and/or grease and flour the spring form pan? This recipe it’s very vague it does not tell you whether you were supposed to grease the pan and how long you’re supposed to leave it in the pan to cool before removing it. I thought all the ingredients and now I hope it turns out for me without these instructions. I hope you’ve already gotten an answer. I’ve substituted Pillsbury GF Flour (Blend) and it has been amazing. 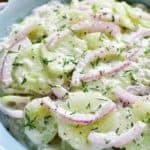 I haven’t made this recipe, but I think it’d work beautifully! Hi there! Just made your lemon raspberry cake- it’s in the oven and looks and smells really lovely! Had to mention my only issue was in the instructions- as written one is supposed to put the wet ingredients, sugar and softened butter in all together and mix until creamy. It’s actually impossible to that way- the butter just stays in the liquid unincorporated. Might I suggest going the cream butter, sugar and egg together until pale and lemony and creamy, THEN incorporate the other ingredients? Makes a better base for the cake. The kitchen smells heavenly- will let you know how it turns out! It states softened butter, not melted. The cake is done! Wow! Has a gorgeous big airy crumble and the topping is shatteringly crispy- lovely coffee cake! 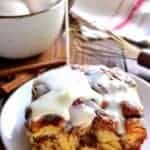 I am looking for a lemon coffee cake, as requested, for a young lady who is graduating high school. She can not have raspberries. 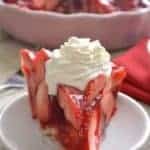 If I were to leave out the raspberries would I have to make double the cake batter so there is a nice height to the cake? I have looked all over for a good lemon coffee cake recipe. This sounds amazing!! Do you grease the pan and at what temperature do you bake it? I sprayed the pan with Pam and baked at 350 degrees. I found this cake took way longer to cook than 50 minutes, more like 75. I used a 9″ springform, but would probably use a 10″ next time. Also, I didn’t grease the pan … here’s hoping it’s not stuck!! I’m sure this would taste great using blueberries as well! Have you tried with blueberries? Looking forward to trying. Just took this out of the oven at 6:00 pm tonight…..we served it at 8:00 tonite…. 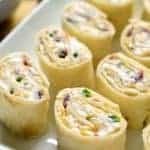 It is delicious and looks so beautiful when sliced with the red raspberries showing…. Book club….can’t wait to try the spinach macaroni Recioe next week…. Then added the rest of the wet ingredients except the sour cream…..beat all til creamy then added some of the dry ingredients then sour cream alternately with flour and ending with the flour……I did use 9” spring form pan and sprayed it with Pam for baking…. Also I made this cake once before and used one cup raspberries and 1/2 cup blueberries and it was also delicious…..
Could you do this as muffins? Just adjust baking time? I should have creamed the butter sugar an egg together first. This was a DISASTER. The “batter” was thick and sticky like dough even though I tried to thin it out it was useless. The cake baked in about 20 min. It came out heavy and tasteless. The best part of it was the streusel. What a wadte of good ingredients. Worst ‘coffeecake’ I’ve ever made. YES! I thought I had done something wrong my first try didn’t get creamy it just stayed loose liquid. Also for me I think a pinch of salt to bring out a more flavor might help Otherwise it’s a beautiful cake. I attempted to make this twice and both times, like Sharie, the batter was dense and so thick and sticky. It didn’t fully cook even after being in the oven for the 45-50 minutes. It was awful and a waste of perfectly good ingredients. I wouldn’t recommend this recipe to anyone. Followed the directions and recipe as written and it turned out perfect in the time stated for baking, 45 mins. The cake appeared to be set but had a little give to it and I was tempted to leave it in longer, but I trusted the time and it was perfect. I’m glad I didn’t over bake it. My butter was soft, but not melted and incorporated fine into the batter. I ran out of white sugar for the topping and substituted brown sugar and that worked well., just have a more brown appearing top. The batter was very thick and that caused me a little worry prior to baking but that was unfounded. It baked up moist and yummy. 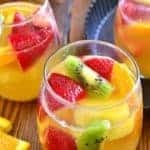 I only used fresh lemon zest and juice, I would not recommend extract, the fresh lemon is what I think put this over the top. Will make this again for sure!